Spacewalkers Mark Vande Hei (attached to the Canadarm2 robotic arm) and Norishige Kanai are working ahead of today’s spacewalk timeline. 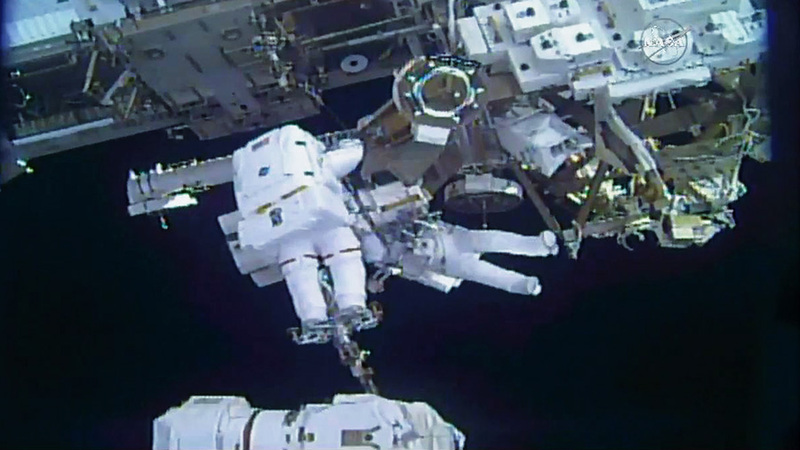 Approximately two and a half hours into today’s spacewalk, NASA astronaut Mark Vande Hei and Japan Aerospace Exploration Agency astronaut Norishige Kanai completed the second major task of today’s spacewalk. 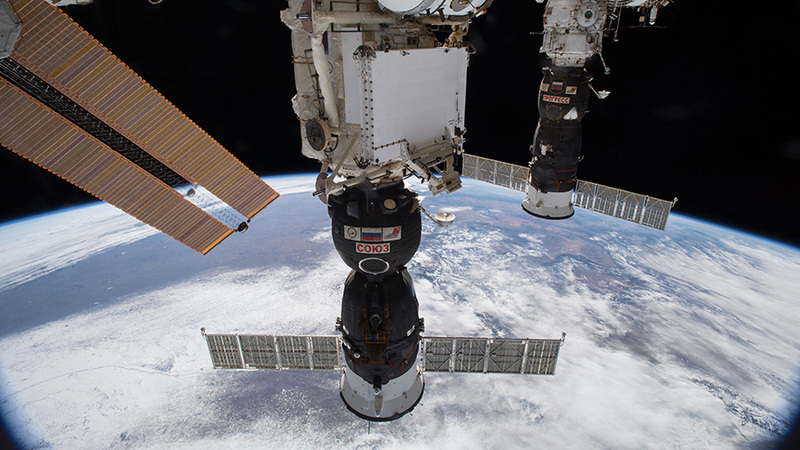 They moved an aging, but functional, Latching End Effector (LEE) from its temporary storage outside the Quest airlock to a long-term storage location on the Mobile Base System, which is used to move the arm and astronauts along the station’s truss structure. 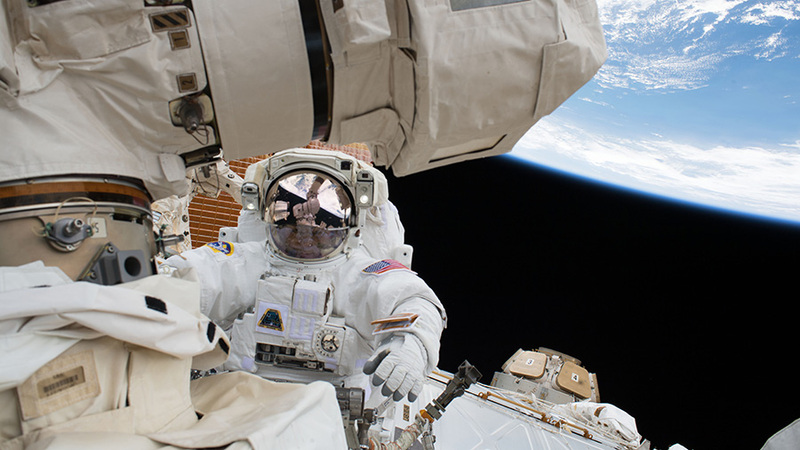 NASA Television and the agency’s website are providing live coverage of the spacewalk. 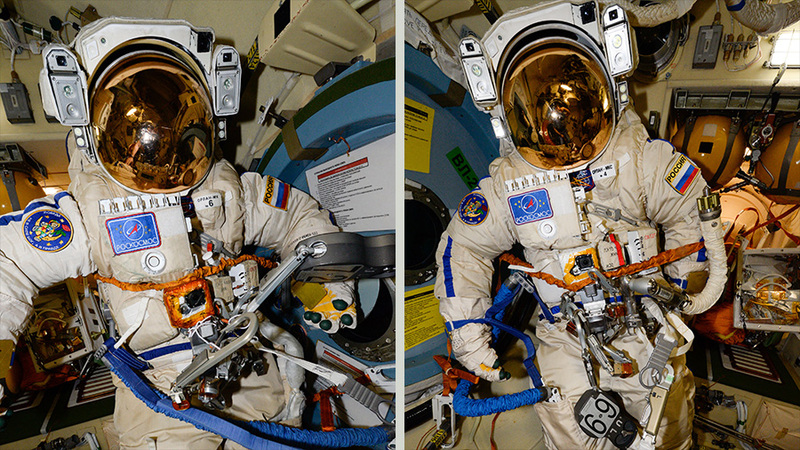 The spacewalkers are now more than an hour ahead of the timeline and moving on to work through some extra tasks. 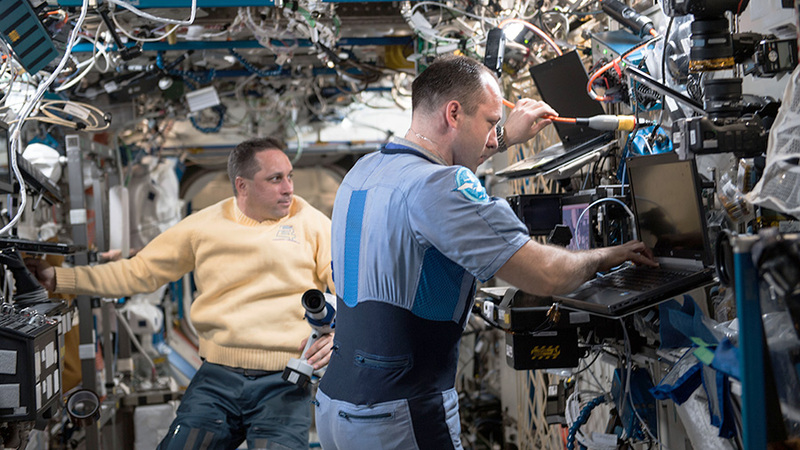 Vande Hei will begin a regular maintenance task to grease the inside of the LEE installed on the International Space Station’s robotic arm during the Jan. 23 spacewalk. Vande Hei is wearing the suit bearing the red stripes, and Kanai’s suit has no stripes. Views from a camera on Vande Hei’s helmet are designated with the number 18, and Kanai’s is labeled with the number 17. 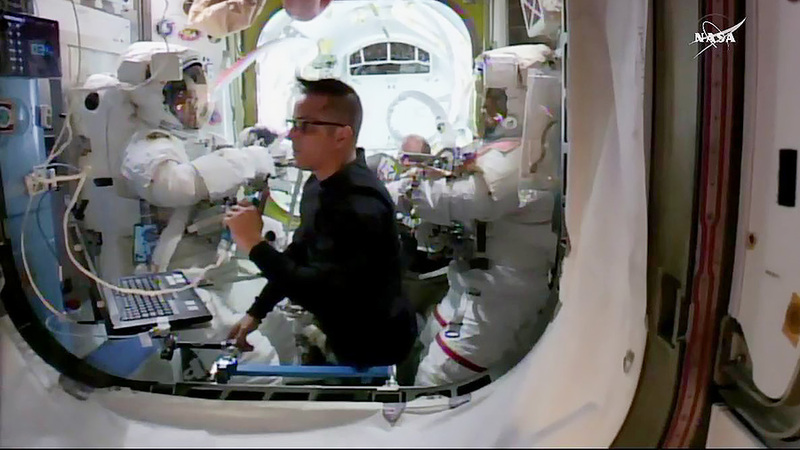 Astronaut Joe Acaba (center) assists spacewalkers Norishige Kanai (right) and Mark Vande Hei (left) inside the Quest airlock Friday morning. Expedition 54 Flight Engineers Mark Vande Hei of NASA and Norishige Kanai of the Japan Aerospace Exploration Agency switched their spacesuits to battery power at 7 a.m. EST, signifying the official start of today’s planned six-and-a-half-hour spacewalk outside the International Space Station. Vande Hei is wearing the suit bearing the red stripes, and Kanai’s suit has no stripes. Views from a camera on Vande Hei’s helmet are designated with the number 18, and Kanai’s is labeled with the number 17. 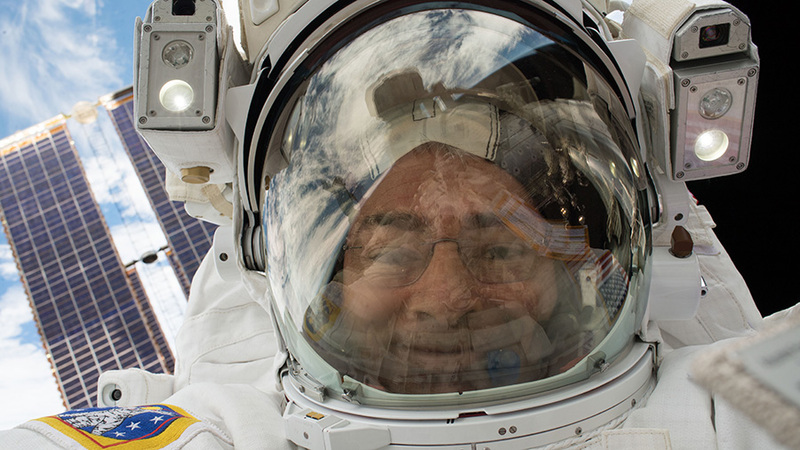 Vande Hei is designated extravehicular crew member 1 (EV1) for this spacewalk, the fourth of his career. 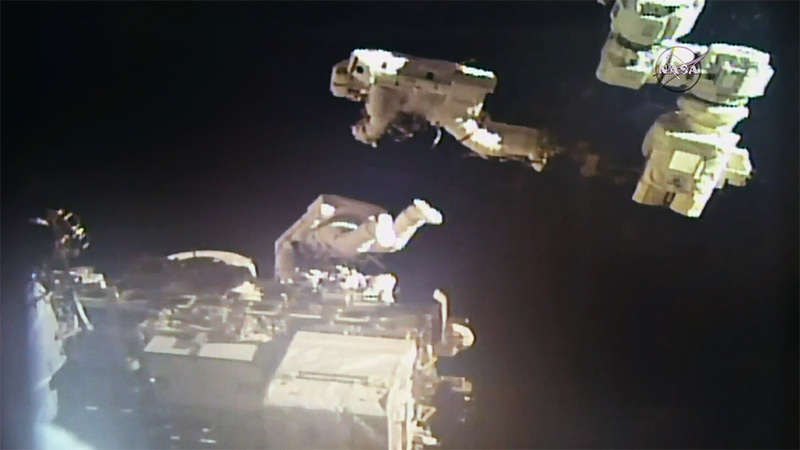 Kanai, embarking on his first spacewalk, is extravehicular crew member 2 (EV2). 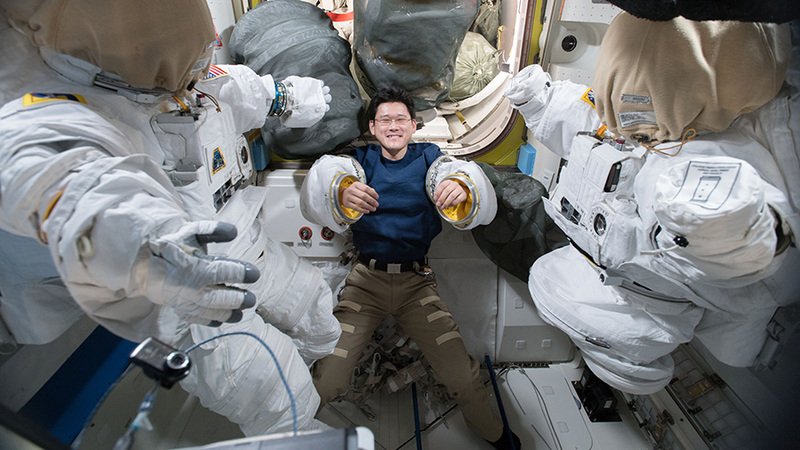 Kanai is only the fourth Japanese astronaut in history to conduct a spacewalk. The first task for the two spacewalkers is to move a Latching End Effector (LEE), or hand, for the Canadian-built robotic arm, Canadarm2, from a payload attachment on the station’s Mobile Base System rail car to the Quest airlock. This LEE was replaced during an Expedition 53 spacewalk in October 2017 and will be returned to Earth to be refurbished and relaunched to the orbiting laboratory as a spare. 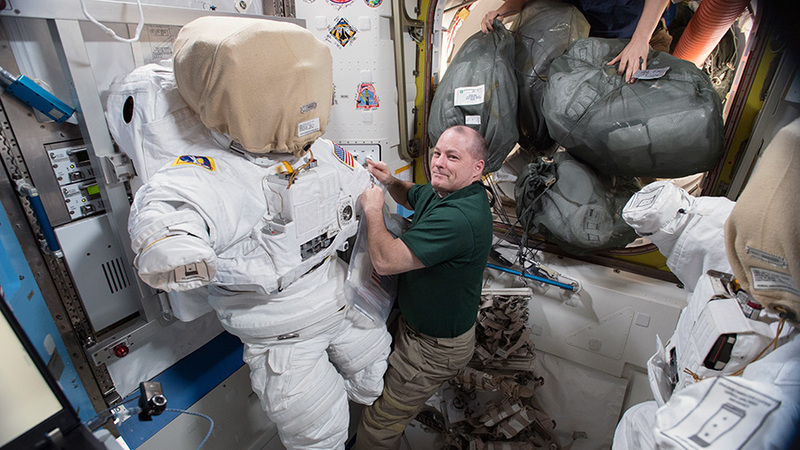 Once they have completed that activity, they will move an aging, but functional, LEE that was detached from the arm during a Jan. 23 spacewalk and move it from its temporary storage outside the airlock to a long-term storage location on the Mobile Base System, which is used to move the arm and astronauts along the station’s truss structure.